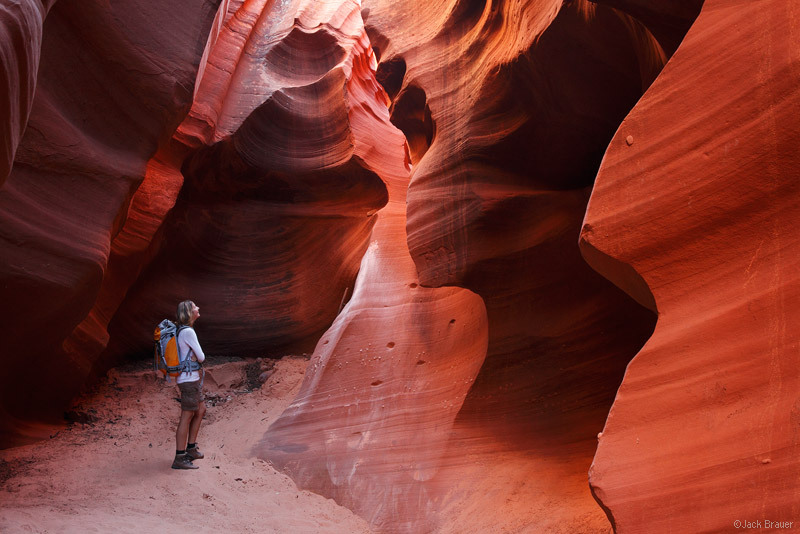 Colorful sandstone formations at Coyote Buttes South, Paria Canyon-Vermilion Cliffs Wilderness, Arizona. 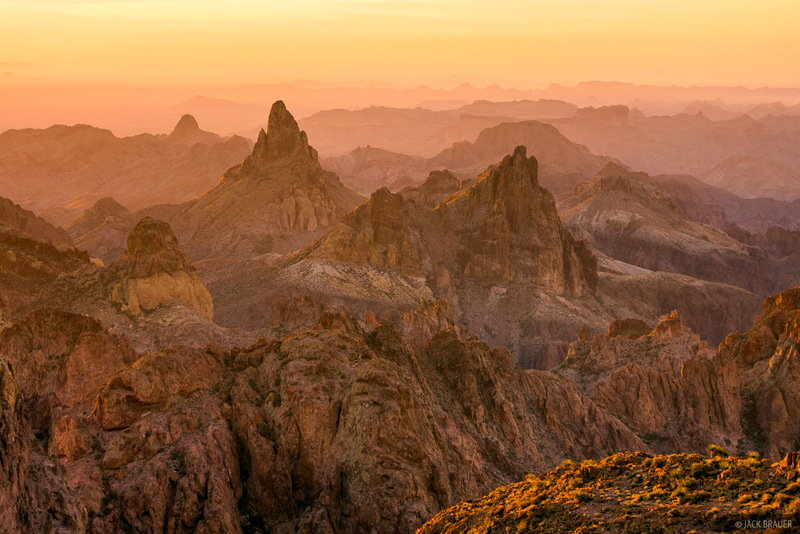 Posted in Deserts & Canyons and tagged Arizona on April 30, 2018 by Jack Brauer. 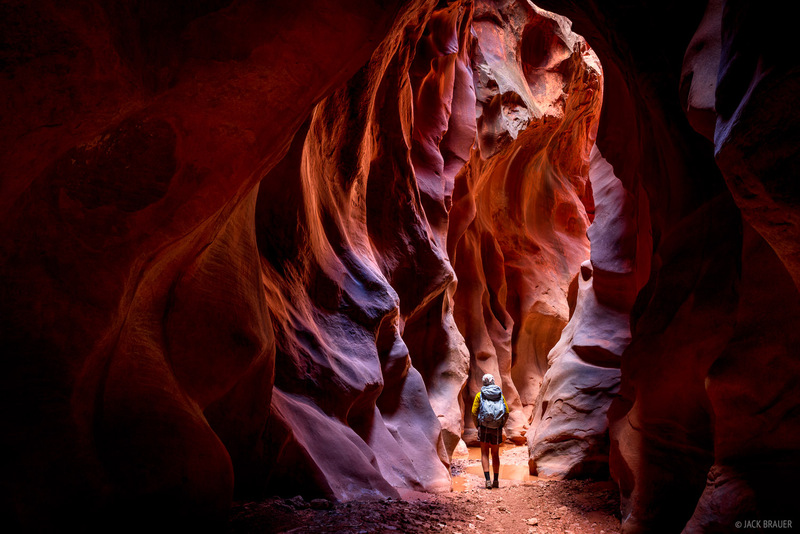 Posted in Backpacking & Trekking, Deserts & Canyons and tagged Arizona, Utah on April 29, 2018 by Jack Brauer. 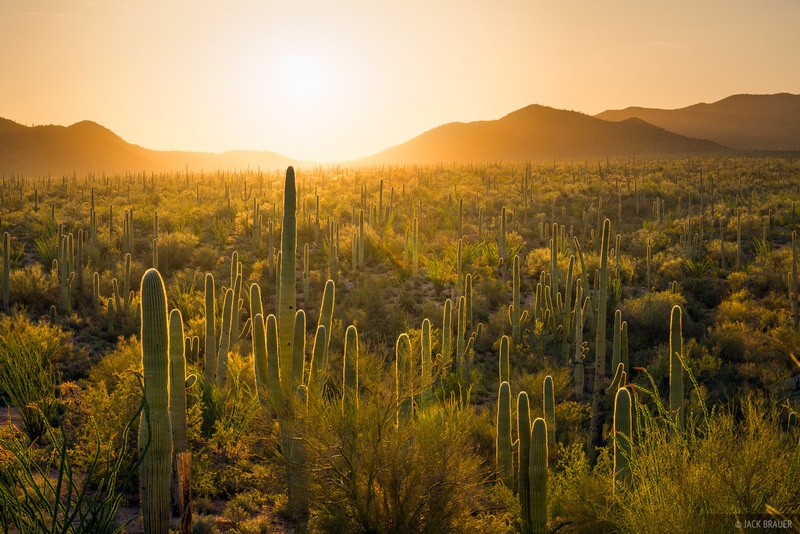 Sunrise behind a forest of saguaro cacti. Posted in Deserts & Canyons and tagged Arizona on April 5, 2018 by Jack Brauer. 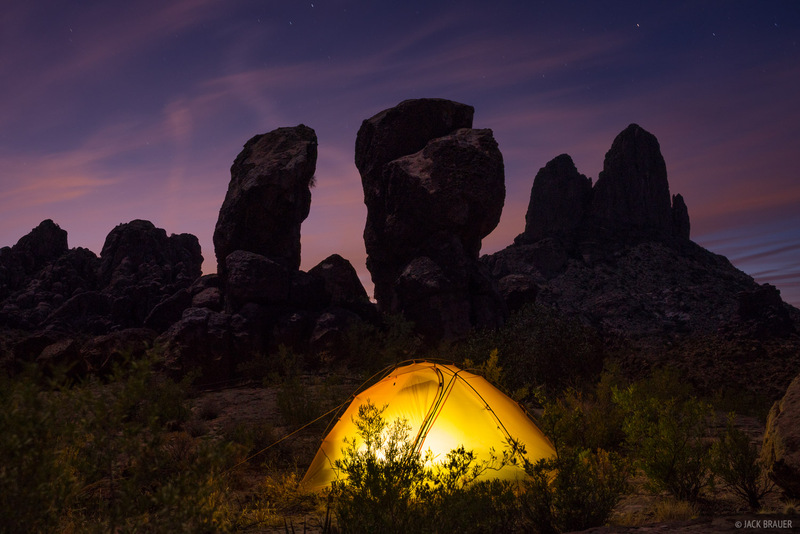 ‘Stonehenge’ campsite surrounded by rocky pinnacles in the Superstition Wilderness. Though it looks kind of like sunset, the clouds are actually illuminated by the light of Phoenix. Posted in Backpacking & Trekking, Deserts & Canyons and tagged Arizona on April 5, 2018 by Jack Brauer. Sunrise light and Squaw Peak in the Kofa Mountains. 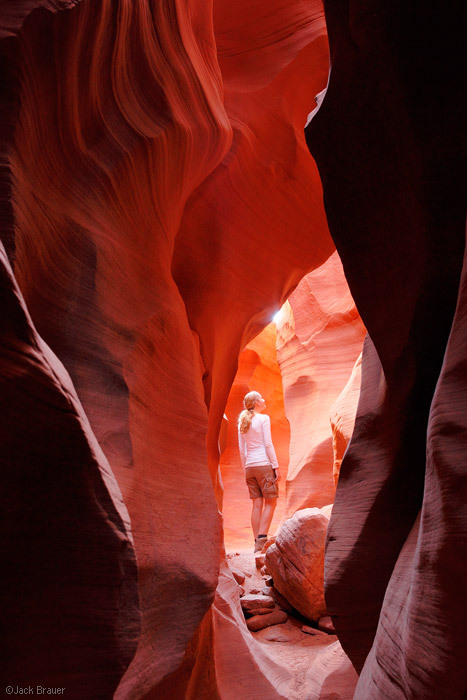 Posted in Backpacking & Trekking, Deserts & Canyons and tagged Arizona on April 5, 2018 April 5, 2018 by Jack Brauer. 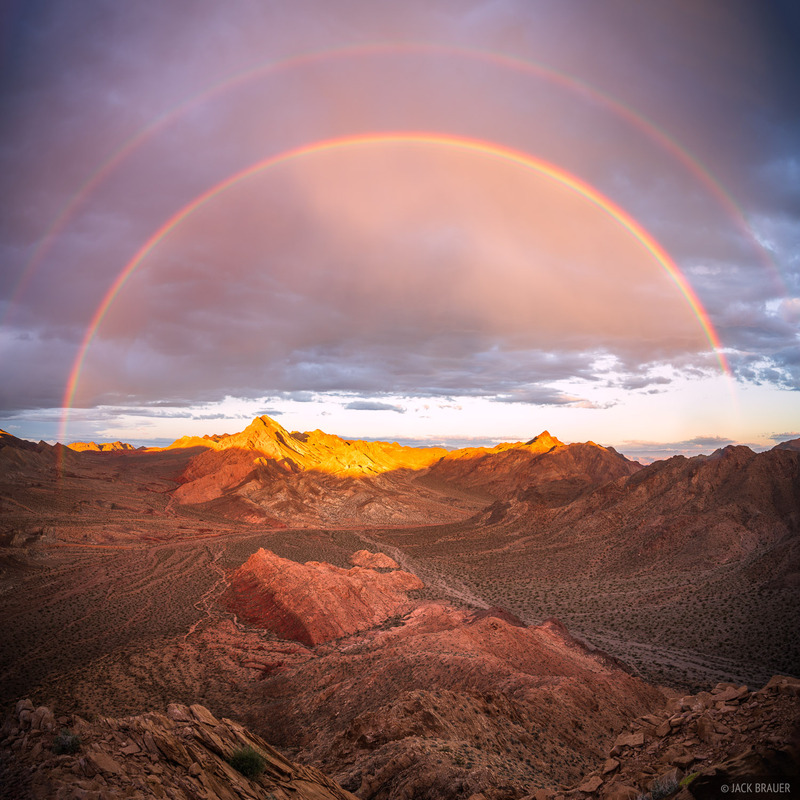 Posted in Deserts & Canyons and tagged Arizona on November 11, 2012 May 19, 2013 by Jack Brauer. 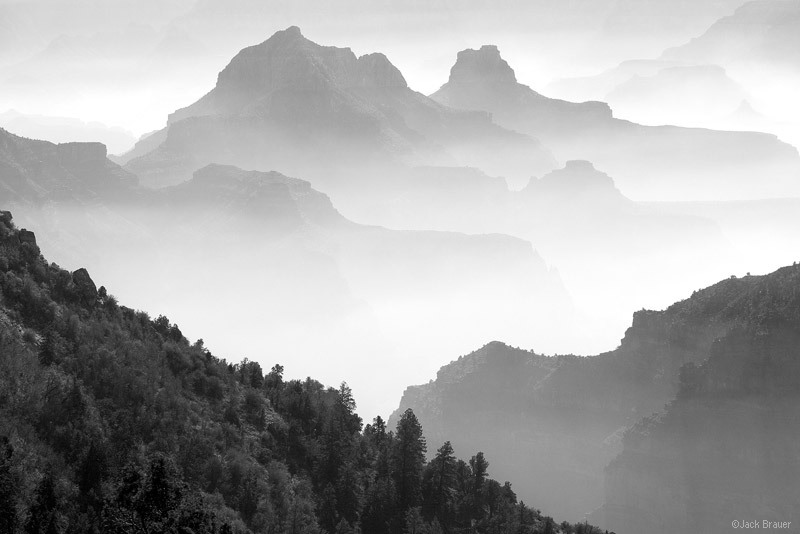 Smoke from a large scale prescribed burn on the North Rim fills the Grand Canyon with haze on a November day. 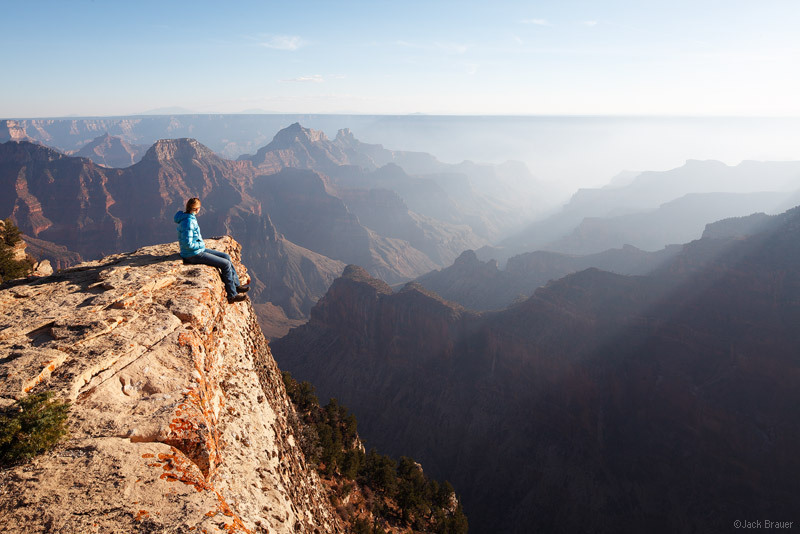 Exhausted from our strenuous trek into the Grand Canyon, we needed a day of relaxing to recharge our batteries, so we camped at the North Rim campground and enjoyed the viewpoints from around there. The campground was virtually empty, aside from a large group of firefighters who were conducting a seemingly large-scale prescribed burn in the forests along the North Rim. The smoke from the burns drained into the canyon, filling it with haze and making for some strange atmospheric conditions. Claudia enjoys the view from up close. 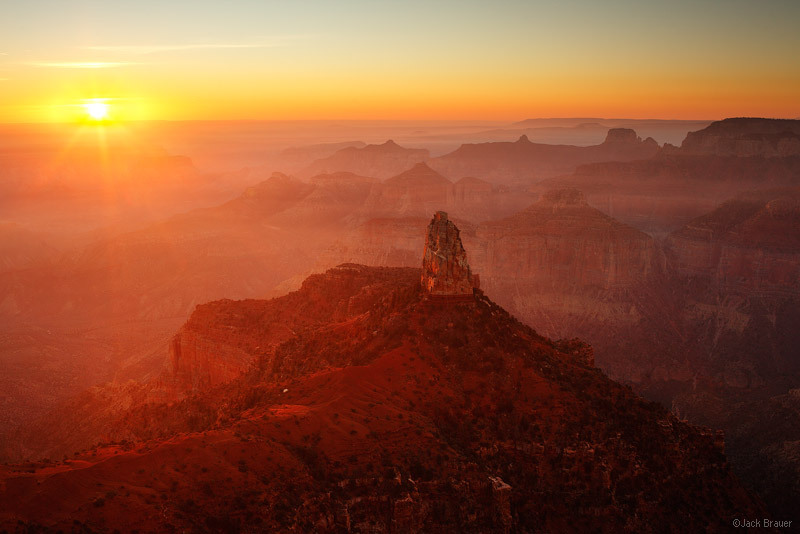 Sunset over the Grand Canyon, as seen from the Bright Angel Trail on the North Rim. 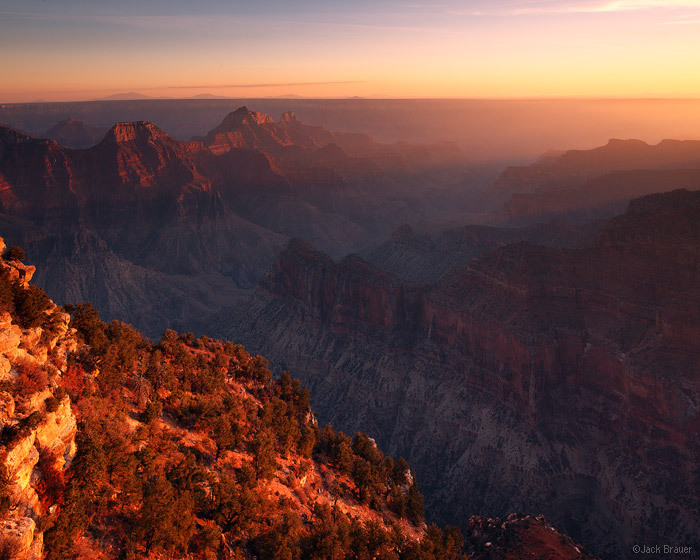 Sunrise light beams through the haze of prescribed burns along the North Rim of the Grand Canyon, as seen from Point Imperial - November. Looking into the Tapeats Creek canyon, a side canyon of the Grand Canyon. 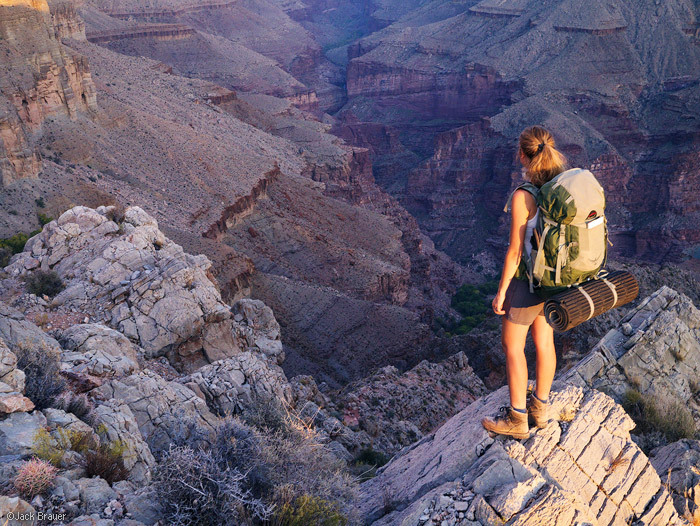 At the beginning of November, Claudia and I were excited to go on a backpacking trip into the Grand Canyon, which neither of us has seen before. It was a great introduction to walk down all the way down into the heart of it, and WOW, we were impressed! Our loop route took us down from Monument Point on the North Rim, down the Bill Hall Trail, over the Esplanade, across Surprise Valley, down into Tapeats Creek, along the Colorado River, up the Deer Creek Trail, then back up to the top again. All in all, more then 5,000 feet of elevation drop, and then back up again! Along the way we saw some of the most incredible sights, springs, and waterfalls we’ve ever seen in the desert. The spectacular waterfall of Deer Creek that pours out right near the Colorado River at the bottom of the Grand Canyon. 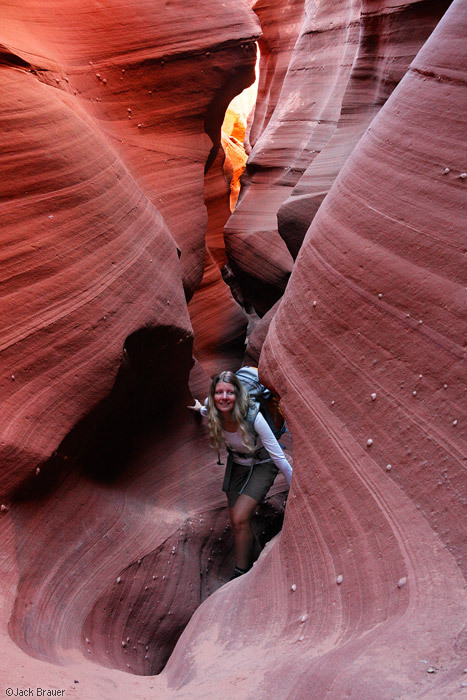 Posted in Backpacking & Trekking, Deserts & Canyons and tagged Arizona on November 10, 2012 November 21, 2013 by Jack Brauer.